In the MyCharta Sell Tab, you can find the “My Shop” menu from where you can tune up your shop, add your own shop categories and visit your shop front page. 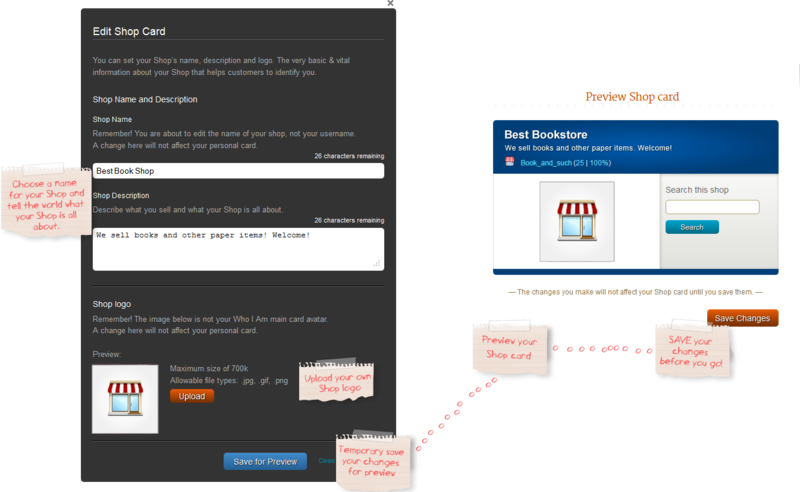 In the “Tune Up Shop” page, you can customize the look & feel of your shop front to your liking. You can set your Shop’s name, description and logo. This is very basic & vital information about your Shop that helps customers to identify you. A careful selection of your shop name, description and logo can enhance your brand recognition. 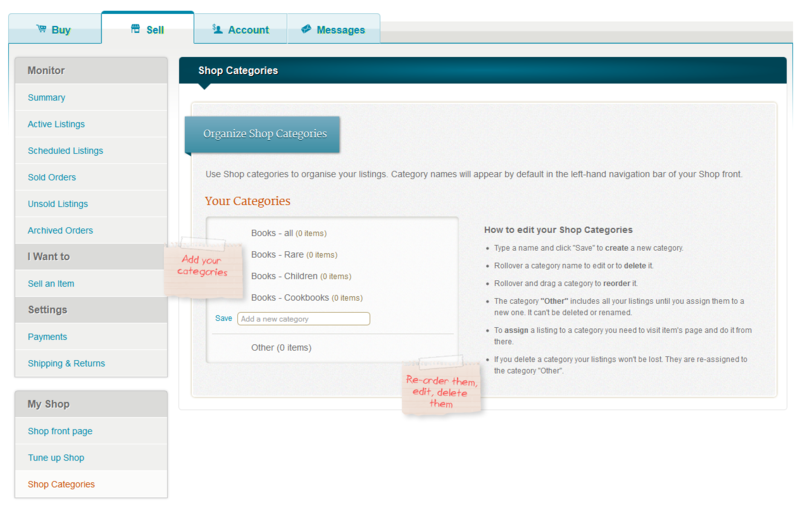 In your shop you can set up your own categories for your listings. The freedom of organizing your listings in your own categories, allows you to better reach your target audience. 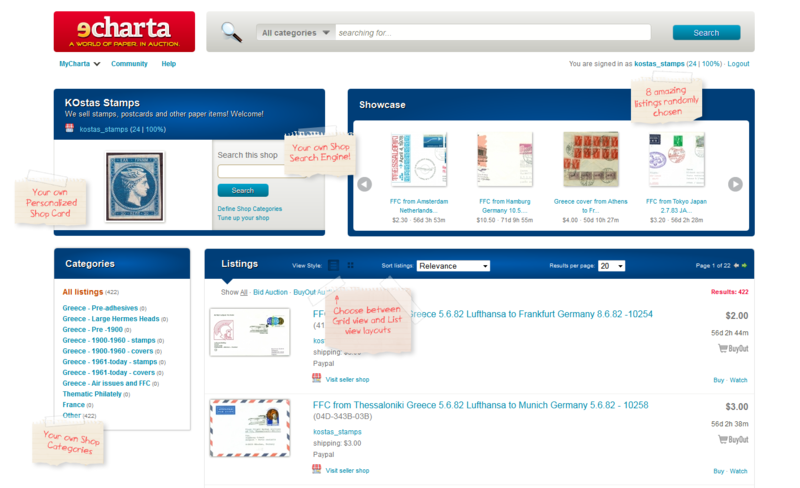 In order to set up and organize your categories, you can visit the “MyCharta Sell Tab” and go to “Shop Categories” page. In the “Shop Categories” page you can add your own categories, change their names, order them they way you prefer and delete them. By default when a new Listing is added on eCharta and the seller has not selected a Shop Category, it is put in the catch-all category “Other”. 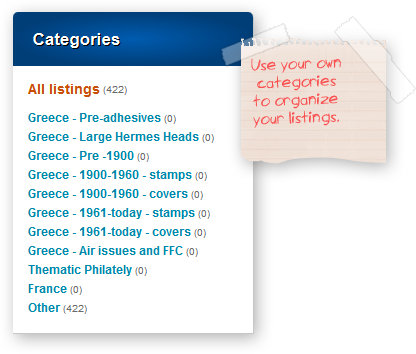 In the same spirit, when a category is deleted then all Listings belonging to that category are automatically transferred to the “Other” category. Tip: Sellers can emulate a category hierarchy by using a separator character (e.g. a dash) in the name. For example one could have a Category named “Books” and more fine grained Categories named “Books – Science Fiction” – “Books – Children” – “Books – Cookbooks” etc. We hope you’ll enjoy setting up you shop! Today we are happy to announce a new exciting feature. 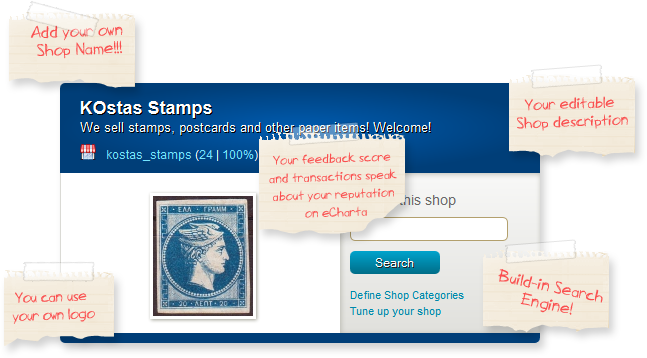 As of this week, all sellers on eCharta are owners of an eCharta Shop! 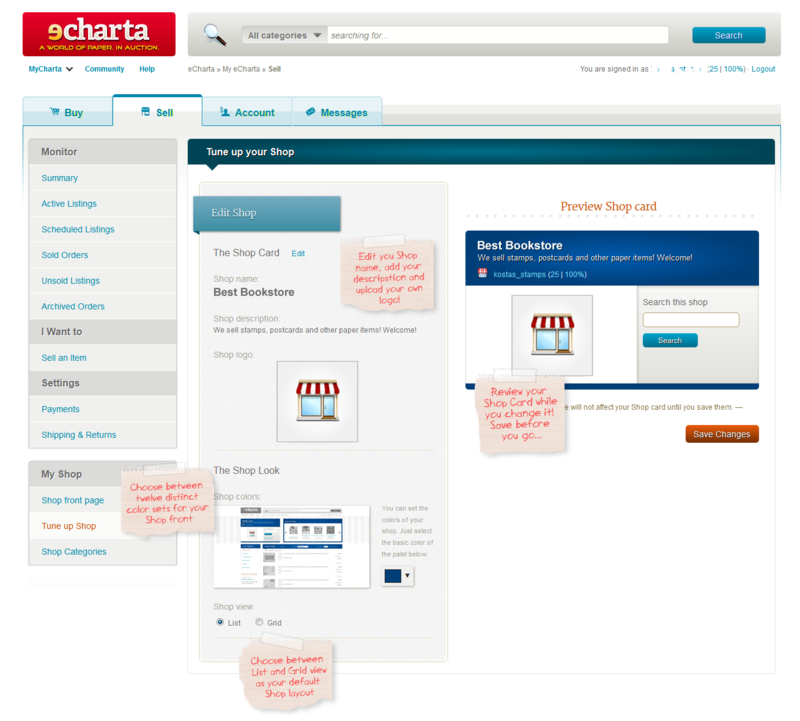 The eCharta shop is your own personal shop, provided by eCharta for free. In your shop, your customers can find all your listings collected in one place and organized in categories that meet your needs. Your shop comes with its own built-in search engine, meaning that your customers can search through your collections and find items of their interest without any hassle. Furthermore, you can choose from 12 marvellous color sets to give a personal touch on your Shop Front. The Shop Card is an important identification element of your shop. As a shop owner you can choose a shop name that best matches your business and you can add your own description to communicate what you sell and what your Shop is all about. An important element of the Shop Card is the Shop Logo. The Shop Logo is different than your personal account avatar. Each business is not the same as the next. 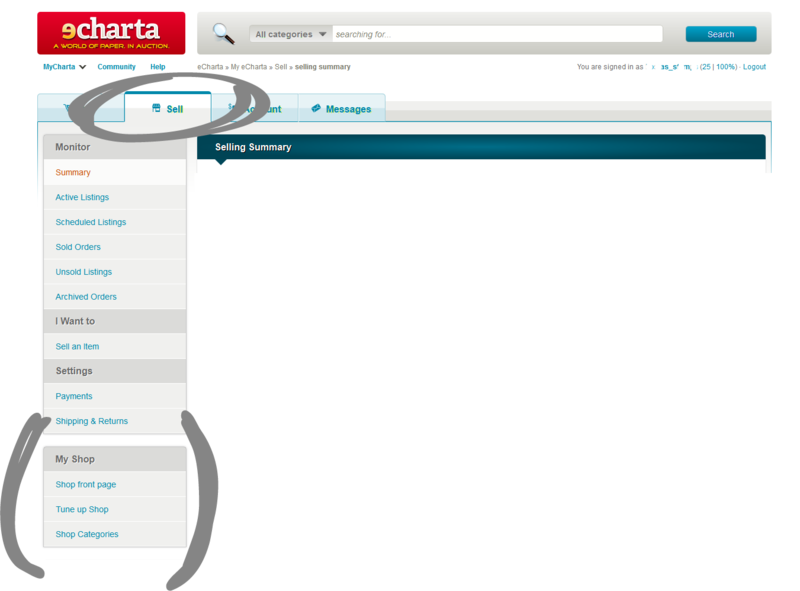 The eCharta Shop provides you with the flexibility to add your own Shop Categories in order to organize your listings the way it better fits your own needs. In the Shop Showcase, your customers can see 8 listings, randomly chosen from your Shop.